It has been a few weeks since we completed the recordings for our 7th album, Darkest White. It has been intense. Everything recorded within one month. That’s very fast for a band like Tristania (shortest recording period so far), especially considering our four singers and the detailed arrangements. It has been long days and nights in four different studios. Rich amounts of stress, pressure, frustration and minimal sleep. But definitely worth it. While I’m writing this, the album is finally completed, and we’ve just received the final mastered version of the album. We are very proud of the finished product. 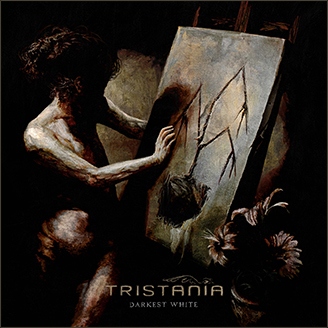 For the first time I can honestly say that I’m 100% satisfied with the sound on a Tristania album. Even more remarkable for me, it’s the first time I can say that the general vibe of the final result turned out exactly as I was hoping for – only better. When entering studio to record an album, you always have goals for how you want the songs to end up; some kind of vision you want to fulfill. It is not always easy to describe with words, but you know exactly how you want the vibe of the album to be at the end of the day. This time around we wanted these songs to sound brutal, intense and full of energy. The sound on our two previous albums has been quite clean and controlled. It was obvious that these songs deserved a different approach. During the years I have often been told by friends that experiencing Tristania live is something quite different from listening to the albums. The production of our albums has generally been quite polished, mainly due to the details and complexity of the musical arrangements. Tristania live have always had a brutal and extreme side that hasn’t to the full extent been captured on our albums. I guess one could mention Ashes as an exception to this. In addition to Darkest White, Ashes remains my favorite Tristania album. The two albums share a special mix of roughness and melodic finesse which appeals to me. Even though Ashes holds personal favorites of mine such as Libre, Shadowman, Endogenesis and The Wretched, there are also a couple of songs on that album that I today regard as weaker than the rest of the album (Equilibrium, The Gate). Also, it has to be added that the sound quality and production of Darkest White is in a different league than Ashes. To put it simple: We wanted the album to sound as brutal and in-your-face as Tristania does live. One can argue that the studio process started on a rehearsal day last summer. We sat down and discussed what we wanted to achieve with this album. Most of the songs that ended up on the album had started taking shape, and we were discussing different possible collaborative partners to work with for the album. After working with the same producer for two albums (Waldemar Sorychta), we felt like moving on. Pretty much the same way we felt when writing the songs for Ashes. It’s got to do with a gut feeling of what the song material needs, and for us it’s important not to stick to a certain formula. Tristania has since day one been all about evolving. I think we would get rather bored if things became too comfortable and safe. We wanted a brutal and powerful sound, but not a standard metal production anno 2013. We aimed for a more organic feel. I remember Kjetil and Ole wanted to work with Christer André Cederberg, whereas I was still in doubt. I knew that Christer is a highly talented producer and mixer. Nevertheless, I didn’t have a clue what vision he would have for these songs. I hadn’t yet heard him do the kind of a metal production I wanted for this album. 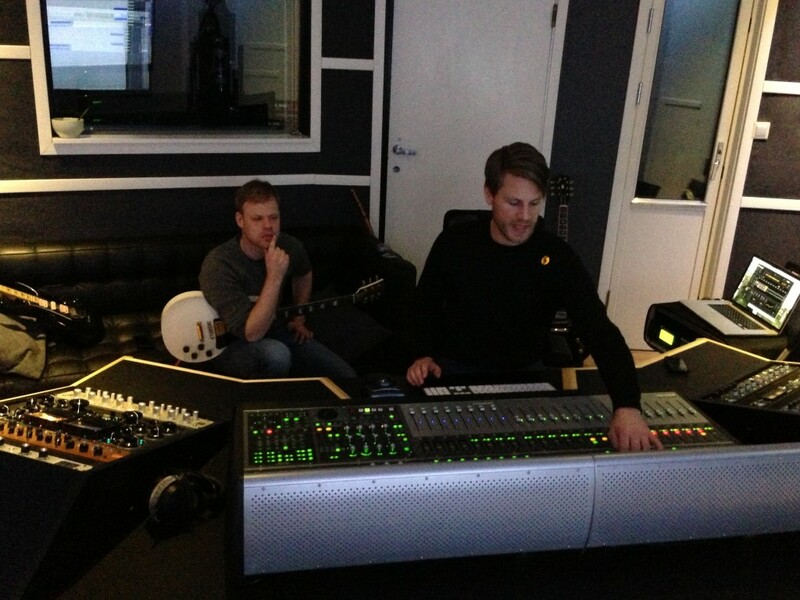 As a producer and mixer, Christer is responsible for one of my favorite albums: Clocks Don’t Count by Petter Carlsen. He has also worked with Anathema on Weather Systems (production/mix) and as mixer for Norwegian punk act Honningbarna and prog metallers Circus Maximus. All awesome productions, but not the kind of sound we wanted to achieve for our new tunes. Although I was not totally convinced, we agreed on contacting Christer to see if we could find a common ground regarding how the song material should end up. It turned out that we couldn’t have had a better guy for producing and mixing Darkest White. When Christer, Ole and myself met up for the first pre-production sessions I immediately realized that Christer was our guy. He instantly understood what we wanted to do in an almost intuitive way. He had been listening a lot to the early demo versions, and he totally shared our vision in terms of brutality and edge. Some of you might know Christer as former guitarist of the Norwegian avant-garde metal band In the Woods, a band which I am particularly fond of. It turned out that Christer and I had many musical references from the early nineties in common, such as classic albums by My Dying Bride and Samael. Working with Christer turned out to be great. His level of professionalism was more than impressive and his genuine dedication to this album made the whole process unique. We felt as if Christer was a member of the band and his ideas and input have been crucial for the album. This entry was posted in News and tagged anders, Christer André Cederberg, darkest white, report, studio. Bookmark the permalink. even more eager now to get my ears on this new opus… anxiously awaiting for report #2 now! Please come back to Argentina soon, Anders!